Made the way it should be with fresh milk, cream and no artificial ingredients. Contains no artificial flavours or colours. Suitable for vegetarians. 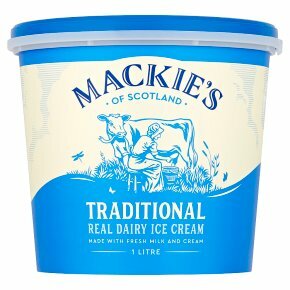 Mackie's ice cream is made with fresh whole milk from our own herd on the family farm in Aberdeenshire. We want you to enjoy the luxury of real, smooth and creamy ice cream at an affordable price.